Orange County, CA Porsche Repair - IMS Bearing & SAI | Laguna Niguel, Irvine, Tustin, Mission Viejo. When you choose Cape Auto Repair you can be confident that you are working with true professionals in the field. We're passionate about Porsches, factory trained, and highly experienced. 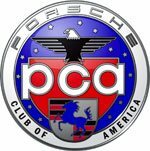 As such, we apply our enthusiasm, expertise, and skill to every Porsche we service and repair in Orange County, and are thoroughly familiar with the common issues particular to each Porsche model and year. Intermediate shaft (IMS) bearing failure is a well-known problem among 986s, 996s, and 997s, which are primarily the Boxsters, Caymans, and 911s built between 1999 and 2008. When the IMS fails, it can lead to a number of other issues, including total engine failure. Porsche 986, 996, and 997 owners can reduce the chance of IMS failure by being extremely diligent with their preventative maintenance (i.e. more frequent oil changes and using higher quality oil) and by not letting their cars sit over long periods of time. They should also have their IMS bearing replaced as soon as they hear any rattling or notice metal debris in their oil filters. Alternatively, they can save money and take preventative measures to avoid this issue by replacing their IMS bearing at the same time that they have their clutch replaced. At Cape Auto Repair, we recommend replacing faulty IMS bearings with L&N ceramic bearings, which deliver a huge improvement over OEM parts. Secondary Air Injection (SAI) failure relates to emissions failures in the vehicle's exhaust system and is commonly found among 993s (Porsche 911s built between 1995 and 1998, such as the Targa, Turbo, and Carrera). When functioning normally, the vehicle's smog pump (or fan) will blow air into the exhaust system for about two minutes during cold start ups. Its function is to help heat the catalytic converters so they work faster and lower emissions. In some 993s, however, there are ports in the exhaust system which will plug up over time, resulting in damage to the catalytic converters. Depending on how much work needs to be done to rebuild the engine, this type of repair can easily cost between $10,000 and $20,000. To correct this issue, we clean the ports, and then safely and legally reroute them. Our SAI repairs provide Orange County's Porsche 993 owners with an incredibly cost-effective and permanent solution to avoid SAI failure. This issue commonly affects the 996s, otherwise referred to as the Porsche Boxsters and Caymans built between 1997 and 2004. If you think your Porsche might have an air/oil separator or AOS problem, bring it into Cape Auto Body. 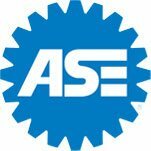 Our factory trained technicians will inspect your engine's AOS and use the industry's latest techniques and premium-quality parts to repair it if necessary. We always prioritize your best interests and will make sure to call you prior to starting any work. Coolant leaks are a frequent issue among the 911 Turbos and Cayenne SUVs because their coolant tubes are more likely to go bad. Coolant leaks are not just inconvenient, but can also cause unsafe driving conditions. To protect yourself and your passengers, bring your Porsche in to our Orange County auto repair shop and have our skilled technicians inspect your vehicle. We see a lot of repair issues arise with the mechanical convertible tops on Boxsters. Whether it's a problem with the pressurized hydraulic fluid or an issue with out-of-sync or broken components, we can use the latest tools, leading techniques, and quality parts to ensure highly reliable and long-lasting results. Our prices are also very fair and we frequently help with other common convertible problems, such as tears, fogged window, and top misalignment. The above issues are just a few examples of the common issues we see among Porsches. For optimal cost savings, safety, performance, and longevity, it's important to work with highly experienced and dedicated Porsche professionals, such as those at Cape Auto Repair. We've work on thousands of Porsches of all models and years throughout Orange County and offer honest, expert recommendations that always prioritize our clients' best interests. Appointments are recommended, but we also welcome walk-ins Monday through Friday. Cape is the BEST Auto repair in Laguna Niguel, James is not only attentive but also an expert in his field, he is interested in ensuring . . .